I love dripping, but using an RDA while on the go is just not the best option. Tanks are perfect in that kind of situation, but they just don’t put out the same insane flavor you get from a good RDA and some are even sketchy in the vapor department. Wouldn’t it be nice if we had the best of both worlds with none of their shortcomings. 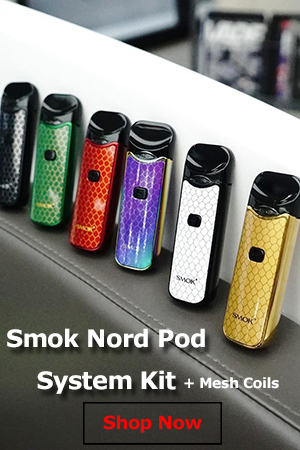 Well, it just so happens that the people at SMOK have come up with just such a device. Introducing the SMOK TF-RDTA. As the name suggests, this latest member of the TF family is a combination between a Rebuildable Dripping Atomizer (RDA) and a Rebuildable Tank Atomizer (RTA) that promises to deliver a hassle-free vaping experience. If you’re familiar with devices like the SteamCrave Aromamizer RDTA, you already know what an RDTA (Rebuildable Dripping Tank Atomizer) is all about, but for the rest I’m just going to mention the fundamental difference between an RTA and an RDTA. 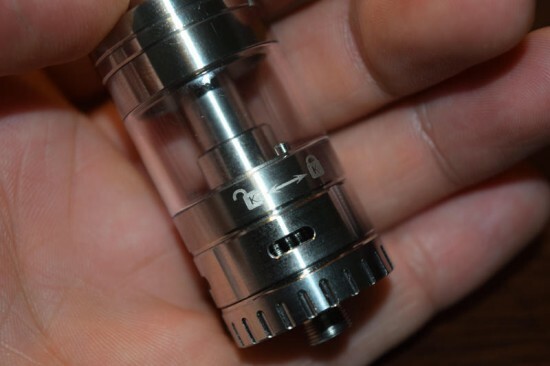 In an RTA, the coils are positioned above the airflow slots so the air hits them from underneath, while in an RDTA, the coils are at the same level as the airflow slots, so the air comes from the sides, as in most drippers. In all other respects, the two are pretty much the same, in my opinion. The TF-RDTA comes in the same high-quality packaging that we’ve seen from SMOK in the past, and includes the tank itself, a TF-RDTA S2 building deck with two preinstalled Clapton coils (Ω0.2), a replacement glass tube, an Allan key screwdriver, a vape band, user manual and a bunch of spare parts. So if you’re really anxious to try it out, all you have to do is wick the coils, add some e-juice, screw it on your favorite mod and you’re good to go. Design-wise, the TF-RDTA is reminiscent of the original TFV4 sub-ohm tank, only it’s considerably shorter and has no drip-tip airflow control system, an innovation which never really caught on in the vaping community. 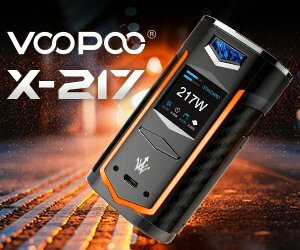 It has the same diameter as the TFV4 tank, 24.5 mm, so unless you’re using it on large box mod like the X Cube 2 or the Koopor Plus, it will probably overhang a little bit. I’m currently using the TF-RDTA on the SMOK R200 and I’m not at all bothered by the size discrepancy, so it shouldn’t be a big deal. The TF-RDTA uses the same swivel cap and and top-filling system as the rest of its family of tanks, which is definitely a plus, as it makes refilling a simple and mess-free experience. The drip tip features SMOK’s dual tube (one stainless steel, the other glass) system, which creates wht the company calls a “heat shield” that prevents the outer tube from getting too hot when vaping at hot temperatures. 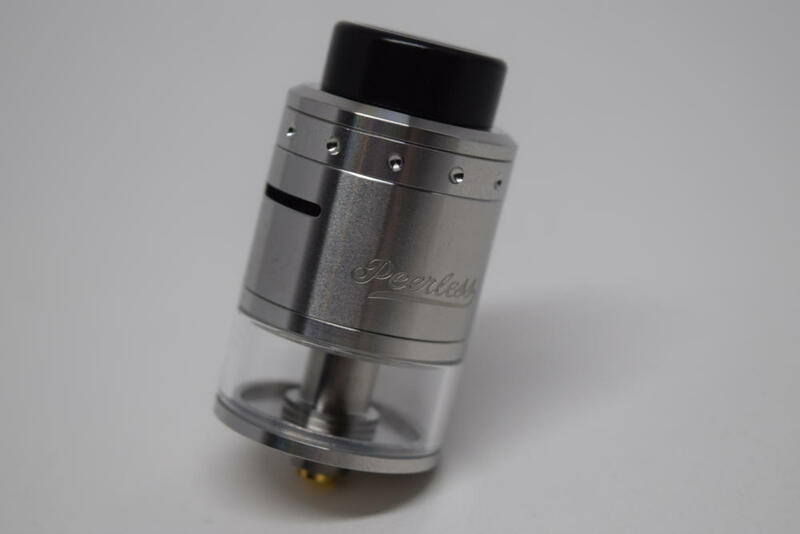 According to the company website, the tank portion can hold up to five milliliters of e-liquid, which is accurate, but in reality the TF-RDTA can actually hold a lot more than that when you consider the huge well underneath. But we’ll get into that a bit later. The bottom part of the SMOK TF-RDTA is what really sets it apart from the Chinese company’s already impressive line-up of tanks. The base houses a 16-mm Velocity-style rebuildable deck that’s very easy to work with, a juice control system and a four-slot airflow control system. 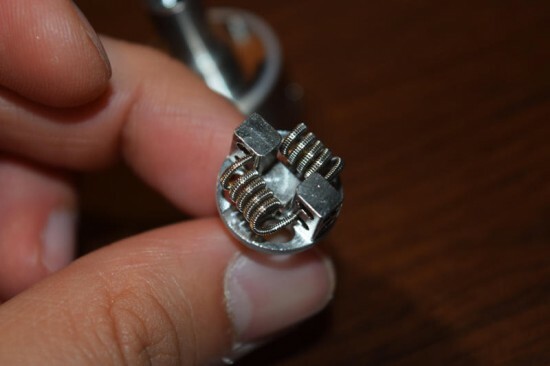 As is characteristic of RDTAs, the coils and and the cyclops slots are lined up so the air hits the coils from the sides rather than from below. The TF-RDTA comes apart into a million little pieces so it’s very easy to clean, which is something that I have come to appreciate about SMOK tanks in general. I like to keep my gear clean, but some tanks come with components fused together which either makes some sections inaccessible or it makes getting all the water out almost impossible. That’s not the case with this device. So how do you use this thing? 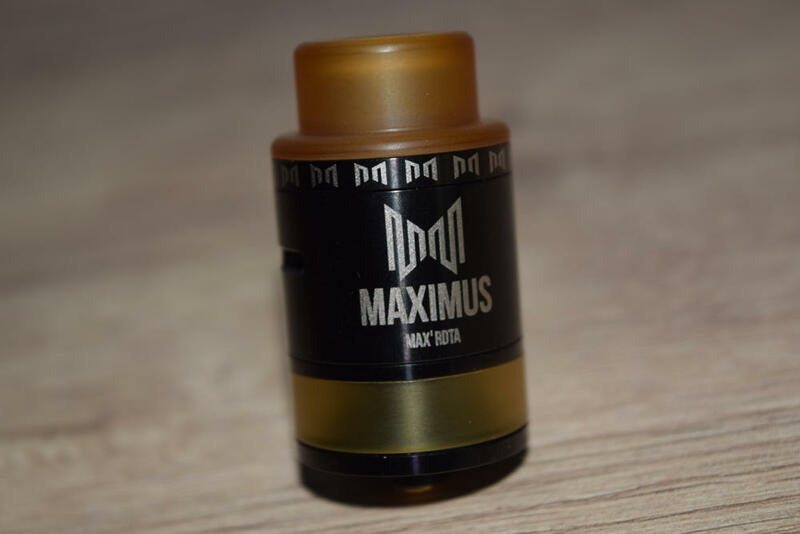 Well, after you’ve cleaned it to get rid of any leftover machine oil and impurities, all you have to do is take the deck with the preinstalled massive dual Clapton coils – unless you prefer to make your coils – and to wicking. Here’s the thing, though, you need to do it right, not the way it’s shown in the included SMOK user manual. Now, I had a feeling it was wrong from the beginning, but I had never used a Velocity deck before so I just followed their instructions. The results were catastrophic and included a ruined t-shirt and massive leaking. 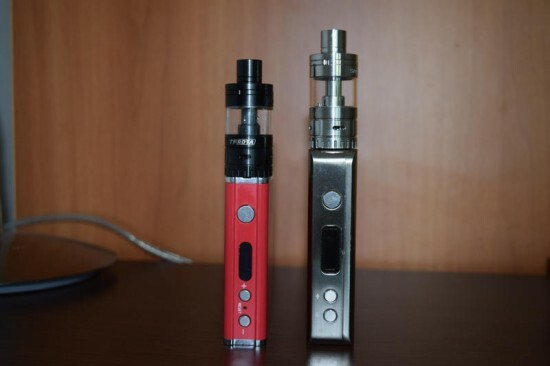 The strange thing is that the wicking pictogram in the user manual and the one on the SMOK website are completely different. 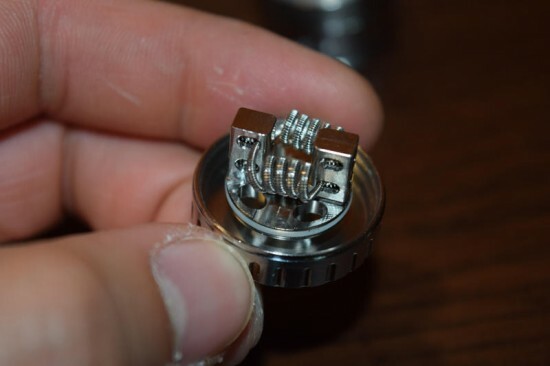 The first shows short wicks, just slightly protruding the coils, while the other shows slightly longer cotton wicks tucked under the coils and, most importantly, covering the wicking holes under the coils. The second method is obviously the right one, and trust me when I say that this is one mistake you don’t want to make, so pay great attention to the wicking. 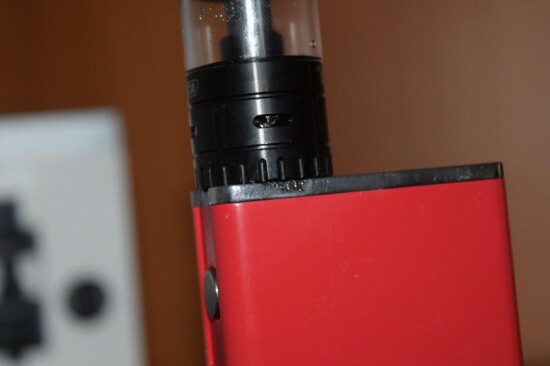 If the juice holes are left wide open, the e-liquid in the well bellow just spills through the airflow slots whenever you tilt the tank and even if you keep it perfectly still, droplets still pop out whenever the coils heat up. It’s a nightmare. Once that’s done, you’re ready to add the e-juice. Just slide open the swivel cap and pour juice through the big hole in the silicone gasket using a dropper or a syringe. But wait! Before you do that, make sure the e-liquid control system is shut, otherwise it will just come out the airflow slots in the base. You can close and open the juice slots by holding the base with one hand and rotating the glass tube clockwise and counterclockwise. These slots allow the juice from the tank part to drop into the big well in the base and feed the cotton wicks. If you leave them open by mistake, when you pump new juice into the tank, the pressure will just push the liquid in the well out. It has happened to me twice already and it is a messy experience. Being able to control the juice flow is awesome, but you need to double check that the slots are closed before refilling, or you’ll have some cleaning up to do. So after you’ve made sure the juice slots connecting the tanks section to the base are closed, you’re ready to add the e-juice. 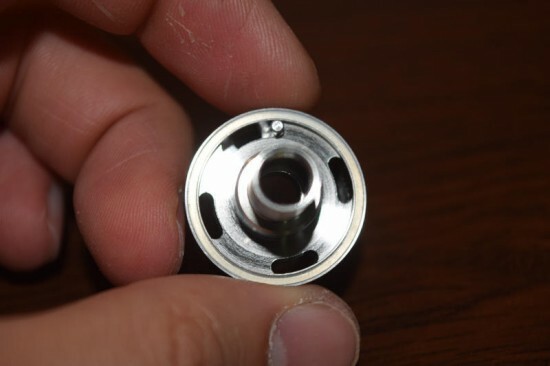 Once that’s over with, you open the juice slots and watch as most of the e-liquid drops down into the bottom well. If you really want to take advantage of the ample juice storage capabilities of the TF-RDTA, you can once again close the juice slots and fill up the tank again. Then you’ll have five milliliters of e-liquid in the tank, plus another 3 milliliters or so in the well. Now that’s a lot of juice. And you’ll need it too, as this thing is one thirsty monster. Just like the original TFV4, the TF-RDTA eats through juice like crazy. Vapor production is outstanding but you have to pay for it in e-liquid. Does the TF-RDTA offer an RDA experience? I would say it’s really, really close. You’re not actually dripping on the coils as you would in a Rebuildable Dripping Atomizer, so it’s not exactly the same, but the airflow is just as good, and the convenience of not having to add juice every couple of draws makes up for the small difference in flavor intensity. That’s not to say that the TF-RDTA doesn’t bring out the flavor of the juice. It is definitely an improvement over the TFV4 and it is very close to what you get from an RDA, but maybe not as flavorful as those first few mouthfuls of vapor after you drip. Those are something special, but otherwise the TF-RDTA gets an A for flavor. In terms of vapor production, I for one can’t think of anything better. It’s a mini cloud machine, no doubt about it, and the higher you go on wattage the more and hotter vapor it puts out. I haven’t gone over 100 watts, as that’s about as much as my lungs can take, but that was enough to make my room foggy after just a couple of hits. Its definitely the best SMOK tank I’ve used in that respect, and probably the best in general. Is the TF-RDTA perfect? No, it could definitely use some improvements. Like, for example, the airflow slots. Yes there are four of them and they are ginormous, but I for one would love to be able to shut two them up so I could just have two hitting the coils directly. The other two are hitting the deck posts and that, in my experience takes a toll on flavor. I did end up covering two of the slots and the flavor improved a bit without affecting vapor production. Right now, when you adjust the airflow on one of the slots, you indirectly adjust it on all four of them, so there is no way to close or open them individually. Another flaw I noticed is that the deck doesn’t have a stopper, so when you screw it back on to the tank, when you try to tighten it, it shifts a little, so even if you try to align it with the airflow slots, it will end up a bit crooked. The air won’t hit the coils directly, and you won’t enjoy the TF-RDTA to its fullest potential. And finally, as is the case with side airflow RDA’s, because the air slots are aligned with the coils, sometimes droplets of juice spit out. 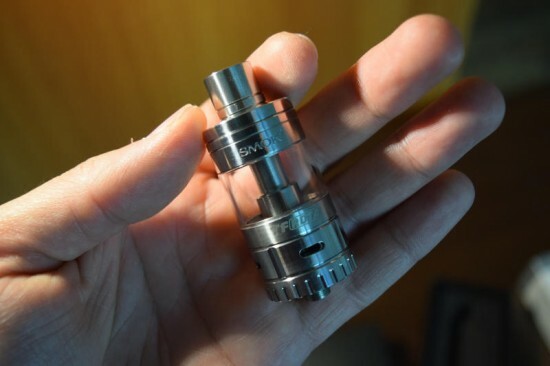 And the SMOK TF-RDTA has some massive air slots so it’s not uncommon to see steaming e-liquid flying out of the tank. But, as I said, that’s part of the dripping experience, so it doesn’t really qualify as a con. 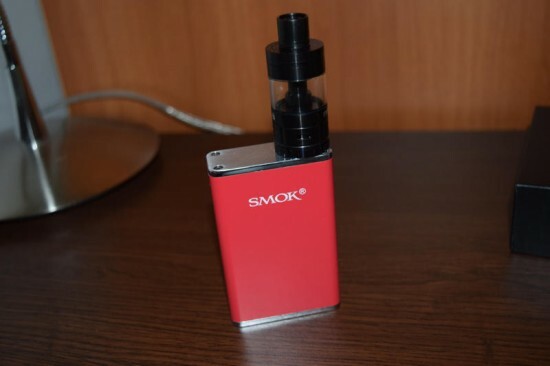 The good news is that most these small issues can be easily resolved in a version 2, and SMOK have shown their ability to respond to constructive criticism in the past. Vapor DNA currently sells the SMOK TF-RDTA for $29.99, which I for one I think is decent to say the least. You get a finely machined device that is capable of offering an experience that’s very close to a dripper in terms of flavor and vapor production, without the hassle of actually having to drip. 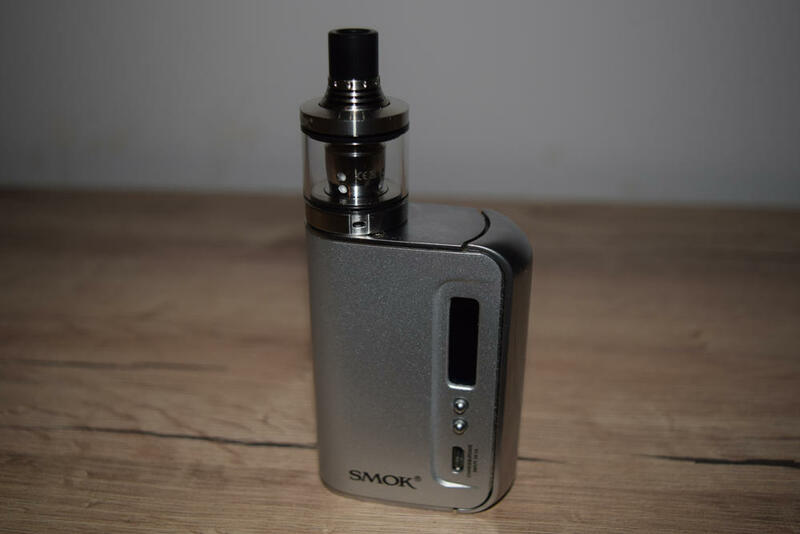 The Velocity-style deck is large enough to accommodate all kinds of coils, juice capacity is above everything I have ever used, and it’s easy to fill thanks to the patented SMOK swivel top cap. The one thing I can’t seem to come to terms with is the insane e-liquid consumption. I just bought a SMOK TF-RDTA. Thx for the review. I’ve seen firsthand how the leaks can destroy clothing! The swivel does have a tendency to slide open if you’re not too careful as well. I find that sliding the Smok rubber band tank protector up top too the edge will prevent the swivel cap from sliding open on you. Another major issue that I’ve found lately is that the tank is burning the hell out of my juice. Within a few minutes of vaping my semi clear juice is damned near black. Anyone have any insight on this? Filling juice is a bit confusing and pic is misleading. So the lock means juice flow is open and unlock means juice flow is close. lol. If you look closely the juice flow lock has a pin inside the tank to indicate if the flow’s on or off. It’s a good tank that I just need to get used to.